Seven optimist sailors represented the Royal BVI Yacht Club at the St. Thomas VIODA Optimist Championship on 5-6 March 2016. The two day event saw tight racing that proved favorable for BVI racers with Rayne Duff and Samuel Allen both rounding out their weekend in second overall. Course conditions were moderate with wind speeds ranging from 8 to 12 knots across both days. Samuel Allen had an outstanding Saturday in the green fleet, finishing the day in second place. In the Championship fleet, Kyle Roose found himself in seventh place overnight after posting three top five finishes. Rayne Duff was a solid second place overall after battling back and forth with St. Thomas’ Mia Nicolosi for the race wins. The Championship fleet ran four races on Sunday while the green fleet completed eight. Nathan Haycraft came out firing with second place finishes in the first two races which helped him move up from eleventh place to eighth place overall. Kyle Roose posted another fifth but also his worst two races to finish a respectable tenth overall. Max Reshetiloff and Ryan Lettsome both had two top ten finishes which advanced their overall standings to 16th and 21st place respectively. Rayne Duff finished the regatta strong with two first place finishes in the last races which secured his second place overall. In the green fleet, Noah George’s good starting techniques helped him secure a ninth place overall while Samuel Allen continued to finish at the top of the pack locking up second place overall. The total event entries were fourteen green fleet competitors and twenty six championship fleet racers. The seven BVI sailors consisted of two green fleeters - Samuel Allen and Noah George - along with five championship fleet sailors - Kyle Roose, Nathan Haycraft, Max Reshetiloff, Ryan Lettsome and Rayne Duff. 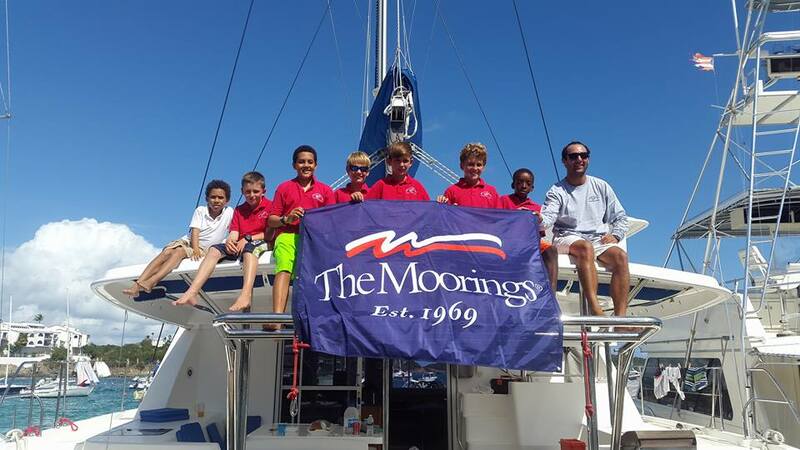 Great job Team BVI and, as always, thank you to our partners at the Moorings for their support for our youth team. Meanwhile in St Maarten, BVI sailors Henry Leonnig, Ted Reshetiloff, Colin Rathburn and Jason Putley claimed third overall in the Melges 24 class at the 36th St Maarten Heineken Regatta. Saving the best 'til last, the Firewater team claimed the bullet in the final race on Sunday in spectacular conditions on the leeward coast of St Maarten.